Synopsis: Bryn Aven is still struggling with her burgeoning relationship with Ridley. She's also set on completing her mission to find the missing Skojare Queen. But when they do finally discover what happened, Bryn finds out that things are much more complicated than she'd originally thought. And as she gets closer to the truth, Bryn is framed for the murder of the Kanin King himself. She ends up on the run, as home holds too few answers and no solutions. 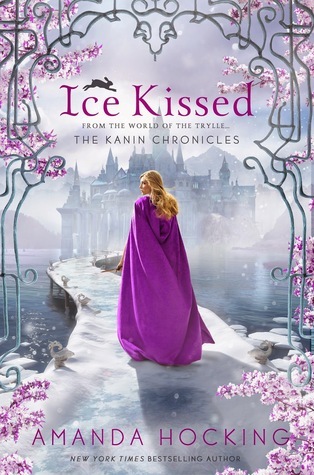 Ice Kissed is an improvement upon to its first installment, Frostfire, but I can't say that I'm hooked. I wanted to know how Konstantin is tied into this whole mess. I wanted to know what the big secret is behind all of the suspicious aspects. Instead I got a lot of details about all of the characters relationships with one another. This wouldn't be a bad thing but Hocking goes into so much detail of each of her characters' personalities, backgrounds, and feelings that the core of the plot gets muddled out. I just kept waiting for something to happen. At times the plot seemed like it was building up to something big but then nothing would come from it. No resolutions, no clues about what these events mean, nothing. By the next page, the event had already passed and Bryn would briefly explain what had happened. For the scenes that the reader is actually able to read as the event is happening the details are rushed and the scene is over in a blink of an eye. This made it seem like those details were never important to begin with. The lack of specifics in these crucial scenes makes it almost impossible to connect the characters and their motivations together. What kept me going through the book is I kept waiting for Ridley and Bryn to clean up their act and admit their love for one another already. Unfortunately, they both keep coming up with different reasons as to why they can't work. None of which made any sense to me. I have so many questions but it seems like they are destined to go unanswered. With its unique plot, likable characters, The Kanin Chronicles have a lot of potential that's being wasted. I want to jump right into these books but because I have to wade through a lot of extra details to get to what is supposed to be important, it doesn't seem worth it. I hope the next book gives me the answers I'm looking for. 1) When Ridley and Bryn aren't coming up with stupid reasons to be apart, they're pretty cute. 2) I understand Bryn a lot better now. Her character went through a lot of development allowing me to understand her desires and motivations better. 3) I really enjoyed learning about Skojare people and their kingdom. Even though their government seems to be in shambles, I like the characters and the descriptions of the setting. 1) Overall, I found this book pretty predictable. I could spot the deaths and twists from a mile away. 2) There are a lot of extra details that are inconsequential to the plot. I had this same problem with Frostfire. The reader is given a lot of detail about the characters backgrounds and relationships mostly through telling and not showing. When it comes to the very core of the plot, the details are rushed and sparse. What the villains are up to seems insignificant in comparison to all of the side-characters occupations and relationships. 4) There are pages of details that I have found that I could skip and not miss anything important. This is because Hocking describes every detail of each room and what each of the characters are wearing. When new characters are introduced the reader is given almost a full history on him or her. These details are important but they go past the point of necessary. 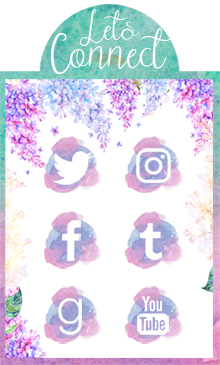 1) "It was so much simpler than I expected. Taking a life seemed like it should be a much greater challenge, but my sword had gone through him just like it would through anything else. And then he was dead." 2) "I closed my eyes, listening to the comforting baritone of Ridley's voice. When he was reading from the book, he spoke like he normally did--no hint of anger or unease. My chest ached with regret and longing. He was so close to me. Our arms brushed up against each other on the armrest. But he was still so far away. If I looked up at him, I would see an icy wall in his mahogany eyes where once there had only been warmth. All I wanted was to take back everything that had happened--not telling him about Viktor right away and even kissing him. I just wanted things to go back the way they used to be between us, but I didn't have the words to erase what had happened. So I just closed my eyes and listened to him read."